Jumping on the bandwaggon that many other banks already have done isn’t a new idea, but it may boost cashflow. 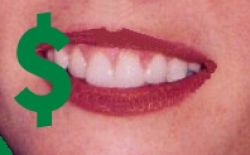 The first few banks that created dental financing packages were innovative, now the idea is becoming commonplace. It seems banks need to do this to hold onto their current customers and it could be that the first ones out of the gate could pick up a few new accounts. The new California Bank & Trust dental office packages allow for a new equipment loan and a new product and service package for a dental practice. As with other such packages we’ve seen, the new equipment loan can be a stand-alone or it can be rolled into the new product and service package. Included in the package is a Professional Credit Line that dental offices can use to supplement cash flow, standard deposit accounts, online banking, which is a must-have item these days and merchant service card processing that allows patients to select more payment options. The bank says the new packages were created specifically for small and medium sized dental practices and this reflects their continued commitment to providing financial tools for small and medium sized businesses to grow and expand. Steve Borg, senior VP and corporate marketing director at California Bank & Trust said the competitive landscape in the dental industry prompted the bank to offer the packages. Their aim is to give dentists the resources they need to run their practice. Smart financial solutions help streamline a dental office’s banking relationship, improve cash flow, and provide competitive financing options so they can concentrate on dentistry, knowing the bank is handling financing. California Bank & Trust has more than 100 branches throughout the state, so it should be able to reach thousands of dental practices. It remains to be seen how well their marketing is executed, to pick up new clients and satisfy existing dental offices.